PARAH is inspired by Yasmin Ahmad's final film, Talentime, as well as Abdullah Hussain's novel, Interlok, Parah is a timely exploration of how identities are contested in a young pluralistic nation. Funny, provocative and moving, Parah ask the urgent questions about love, home and belonging. I never understood why they name the play PARAH until I watched the play myself. Somehow, I ended up watching it alone and I never regretted my decision on staying after finding out no one I know was going to be there. I had a strong intention of wanting to leave before the play starts but oh what the heck, since I'm there, why not? It was one of the smart decision I have made in my entire life. PARAH was funny yet serious at the same time. I didn't felt lonely once the play started, the humour from the play made me and the audience laughed. The actors and actress played their characters well and I didn't felt like they were trying too hard. There were mix languages used in this play. Though, the main language was in BM but it fitted the whole storyline. It would just be weird if the play was in English. The play wasn't shy in any way to tell the truth about what happened to the novel Interlok as well as about the race issues in Malaysia. I knew there was a problem with that book but I never really bothered to follow up. This play has definitely tell me a whole lot more about it. The play was relevant and easy to relate to any Malaysians. It is something needed to create further awareness about the race and governments' controversial in Malaysia. They are kind enough to prepare english subtitles for those who don't understand BM. :) I think everyone should try to catch this play but please be open minded while watching it. After the show, they had a Q&A session and Trust me, never happened in my entire life before for a Malaysian Production, 90% of the audience stayed back just to hear what they have to say. It wasn't the type of Q&A where no one have any question, it's the type of Q&A that people have questions to ask about the play. Do check KakiSeni for pricing, dates and more info. 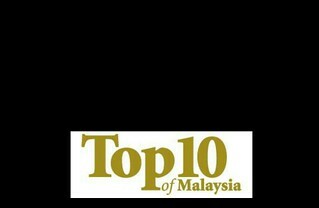 Hurry cause the play only runs till 6 Feb 2012 at KLPac. For more pictures, do check out DustyHawk Album. He has been the one allowing me to experience the joy of performing arts.